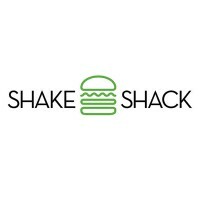 Shake Shack is a fast-casual restaurant chain specializing in New York-style hotdogs, hamburgers, fries, and milkshakes. The company claims that their products use 100% all-natural Angus beef with no antibiotics or hormones. Starting out as a hotdog cart in Madison Square Park in 2001, the chain grew steadily and opened a permanent kiosk inside the park 3 years later. It was founded in July 2004 by Danny Meyer. At present, the New York-based company operates more than 160 locations worldwide. Its international outlets can be found in London, Seoul, Tokyo, Istanbul, Moscow, Cardiff, Abu Dhabi, Dubai, and Doha, to name a few. The company offers generous benefits including dental, medical, and vision insurance, 401(k) retirement plans, revenue sharing, and flexible spending accounts. Qualified employees may also be entitled to bonus programs. The restaurant chain is like a family-run business as the staff work together as a team while living up to their core values. They create an exciting workplace and cultivate meaningful connections within the community. How old do you have to be to work at Shake Shack? The minimum age requirement varies by state. Generally, applicants must be at least 16 years old to be considered for entry-level jobs. Upper-level positions typically require candidates to stand at 18 years old. Entry-level jobs include team member, cashier, and kitchen helper. These positions typically do not require educational attainment. Positions in the management include shift manager, assistant manager, and general restaurant manager, which often entail higher level of education and experience in the fast food industry or managerial roles. Team Member: Team members are responsible for a variety of tasks. They move around the restaurant performing food preparation and customer service duties. They must be personable and passionate about customer care. They should also possess good multitasking skills and be open to work varied shifts. Cashier: Cashiers handle all payment-related issues. They operate the cash register and process payments, making sure all prices are accurate. They follow all store procedures regarding gift cards and coupons, resolve complaints, and process refunds accordingly. A cashier must have basic computer and math skills, as well as solid customer service skills. Cook: Cooks set up workstations with all the needed equipment and ingredients, check food items for quality, cook food in various grillers and utensils, and ensure appealing food presentation and excellent food taste. They are also in charge of monitoring stock and placing orders in case of shortage. Kitchen Helper: A Kitchen Helper’s duties include preparing food items needed for cooking, retrieving food items from the freezer or fridge, measuring ingredients, maintaining cleanliness in all areas of the kitchen, washing, peeling, and/or cutting meats, vegetables, and other ingredients, and refilling shakers and condiment bottles. Dishwasher: A Dishwasher collects used kitchenware from kitchen and dining areas to be washed, loads and unloads mechanical dishwashers, and washes delicate items by hand. A Dishwasher ensures all utensils and kitchen equipment are clean and meet the sanitary guidelines of the restaurant. Shift Manager: A Shift Manager oversees overall team performance during their shift. They monitor the staff, direct them through their tasks, make sure they provide excellent service, and guarantee smooth store operations. Shift Managers provide trainings to develop the skills of the team members. They may also assist in customer care and food preparation duties. Assistant Manager: An Assistant Manager provides support to the Restaurant Manager in fulfilling managerial functions. They monitor team performance, ensure quality dining experience, research wholesale food supplier and negotiate prices, manage and store vendors’ invoices and contracts, and place orders for kitchen supplies and equipment. Restaurant Manager: A Restaurant Manager directs and supervises daily operations. Primary functions include hiring, training, and evaluating employees, ordering needed supplies and products, and assigning work duties to team members. As they are responsible for ensuring store profitability, managers analyze sales figures and develop strategies to drive more sales. Area Director: An Area Director is responsible for overseeing overall performance and operations of the restaurants within an assigned market area. They direct General Managers to ensure that recruiting, marketing, budgeting, and sales goals are achieved throughout their restaurants. They work with the Managers on decisions regarding development, performance, and recruitment. Marketing Head: The Head of Marketing manages all the marketing projects of the company, devising effective marketing strategies and ensuring that the team fulfills the marketing goals. This individual must have the ability to inspire and lead the marketing team and the knowledge of effective Public Relations and Marketing Communications. Shake Shack accepts both online submissions and paper applications. To search for job openings and apply online, visit the company’s website and access their careers page. Those who wish to do it the traditional may visit any location to submit the required documents. The chain looks for individuals with friendly and upbeat personalities so applicants should demonstrate these traits for greater chances of employment. After selecting their desired job listing, online applicants may fill out a job form which asks for personal/contact information, work history, education background, and references. Candidates indicating open availability for working varied shifts may gain higher preference. Aspirants with experience in the fast food industry or customer service should include the details in their forms. They should also make sure to polish an updated resume containing relevant information and defining their career objectives. Hiring managers prefer workers with high energy, outgoing disposition, and sound communication skills. Applicants displaying these qualities during job interviews may have greater chances of winning the employers’ approval. The culture in Shake Shack is focused on fun, family, and community. The company values teamwork. Everyone meshes well with others and enjoys interacting with the public. As posted on their Facebook page, the chain hosts lively events almost every month in various locations, offering guests the opportunity to experience hospitality in a whole new level. The restaurant chain is known for its delicious burgers, hotdogs, chicken, frozen custard, beers, and wine. Their milkshakes have been acknowledged by reviewers as some of the industry’s best. As part of their responsibility to the society and the environment, Shake Shack holds meaningful events, make generous donations, and do volunteer works. They recycle all plastics and bottles and have their food composted locally wherever possible. 1 How old do you have to be to work at Shake Shack?